Double CD compilation! 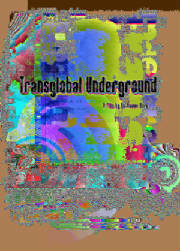 Almost the whole history of TGU up till 2009, this album, originally released by Nascente, is now only available directly from us. "Bold, bristling and ballistic barrier-breaking blends of Arabic, Afro, Asian, dub, dancehall, acid and Romany are this London collective's natural habitat." Daily Mirror. Mule 08. A one-off project recorded under the name U.N.I.T.E. 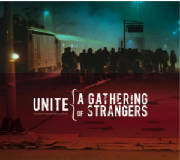 ande released in 2010, in which Transglobal Underground present a compilation of songs of exile and emigration across Europe. 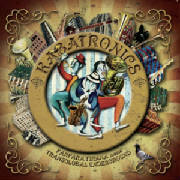 Featuring Jim Moray, Stuart A Staples (Tindersticks) Yanka Rupkina, Martin Furey (The High Kings) Balkan Fanatik, the Perunika Trio, Village Kollektiv and many others. Mule 04 Released 2007. Winner of BBC World Music 2008 Club Global award. 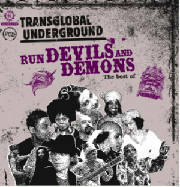 TGU radically altered perceptions of what world music could be' Mojo. New food for impatient bellies....one thing's for sure, it will be hard not to shake and shimmy when you hear this album' Songlines. 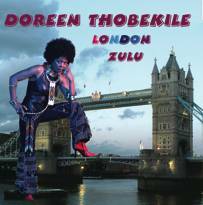 MULE003 Long time associate and regular member of the TGU family, South African born vocalist and musician Doreen Thobekile's solo album is co-written and produced by Hami and Tim of TGU. Based round a live show in StNazaire, Brittany in 2007, with added interviews and documentary footage. Directed by Guillaume Dero and produced by LaHuit productions.